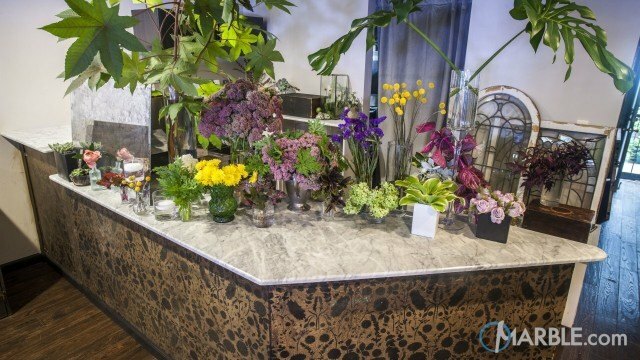 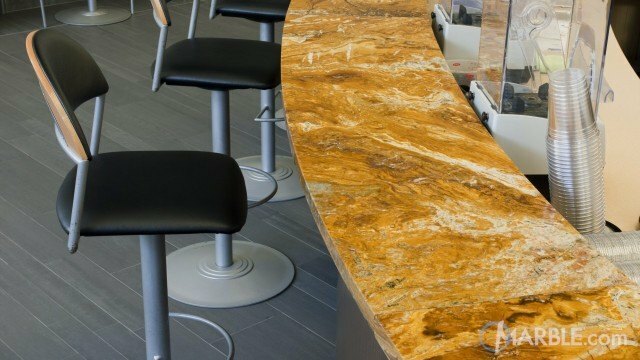 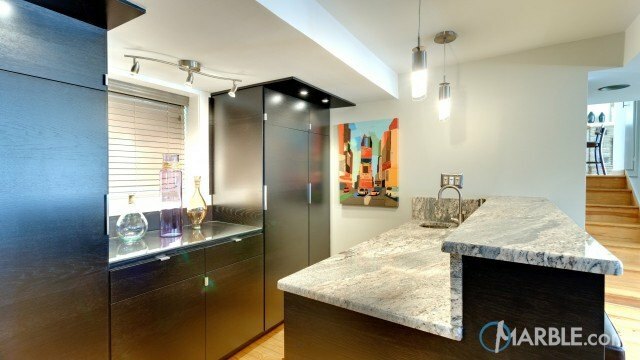 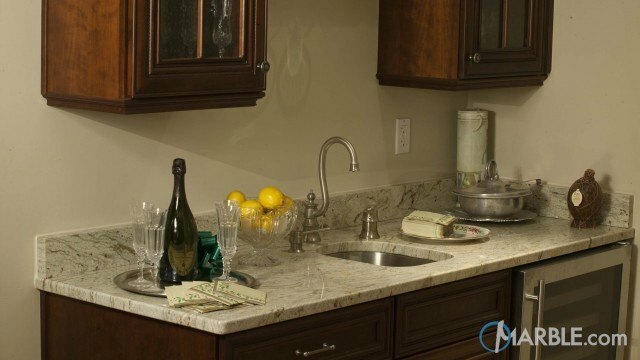 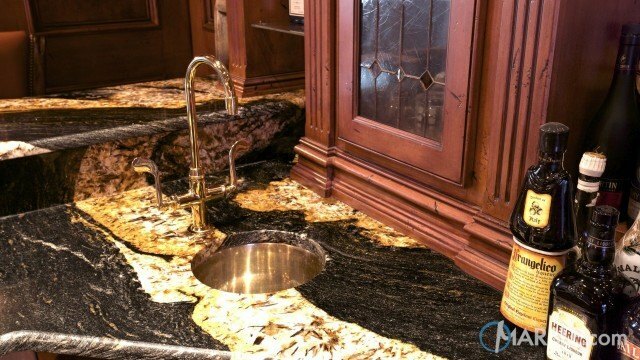 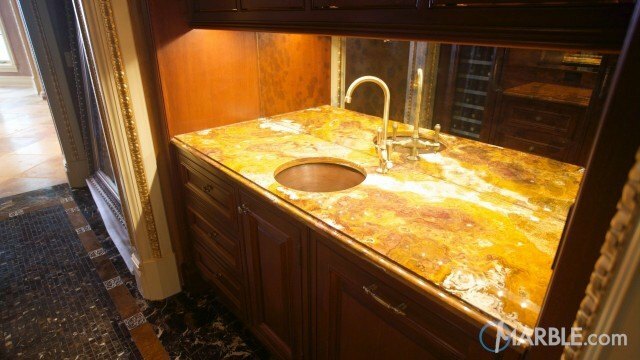 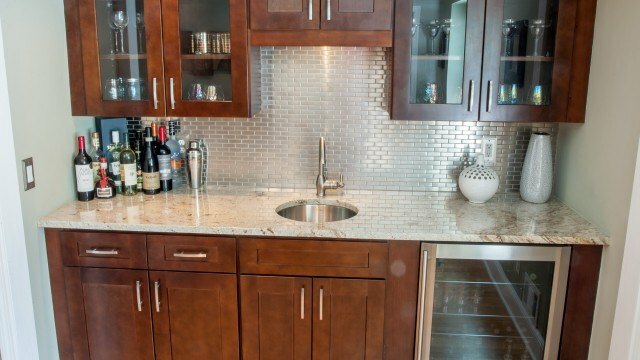 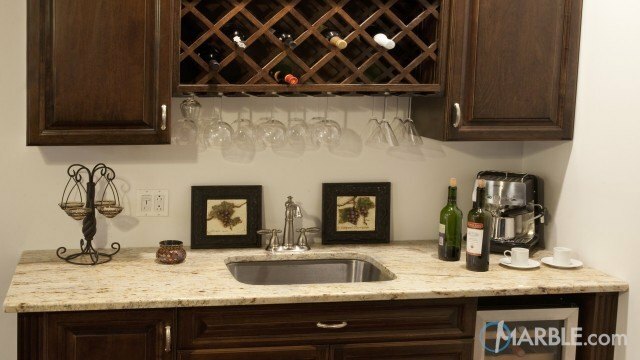 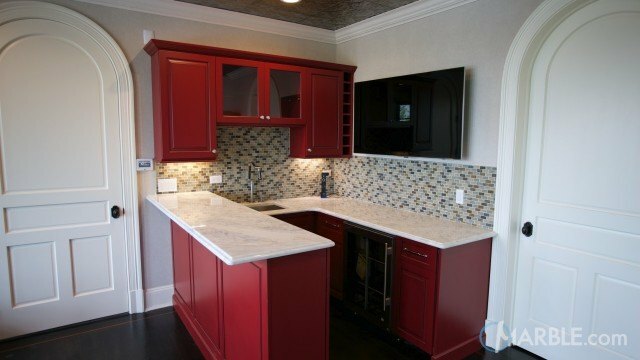 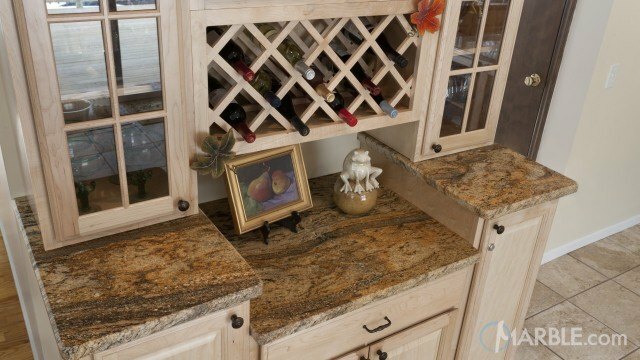 Granite isn't just for indoor use. 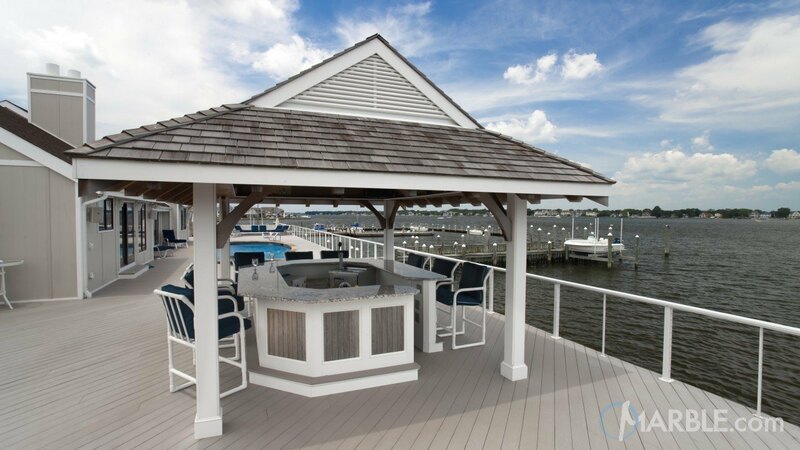 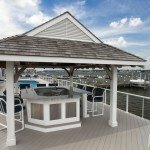 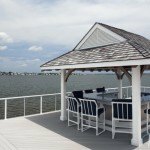 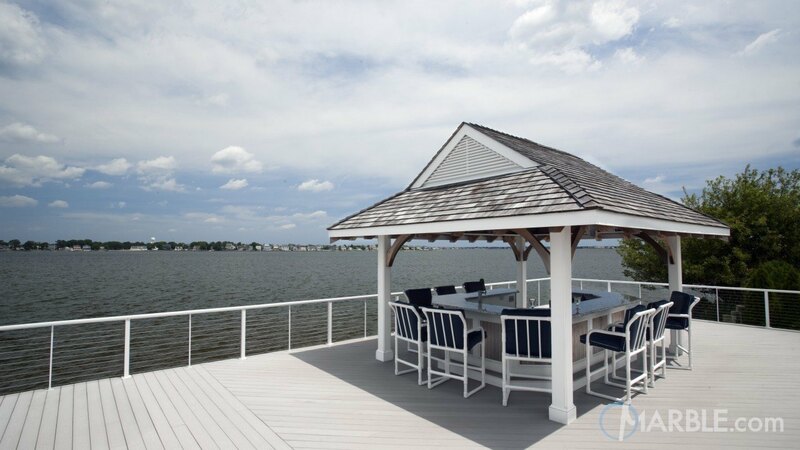 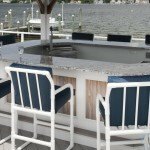 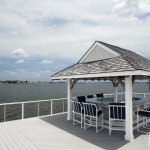 This Bianco Antico granite bar counter top is the perfect addition to this outdoor waterside deck. 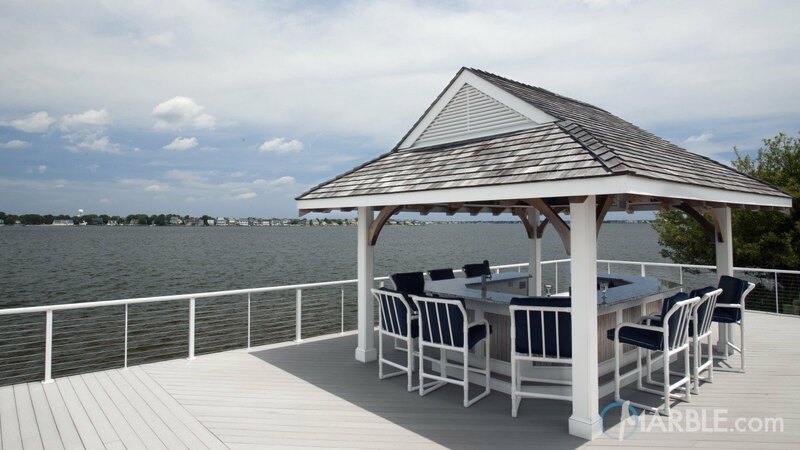 The white and grey in the stone reflect the blue in the sky and are complemented by a grey wooden deck and a white base. 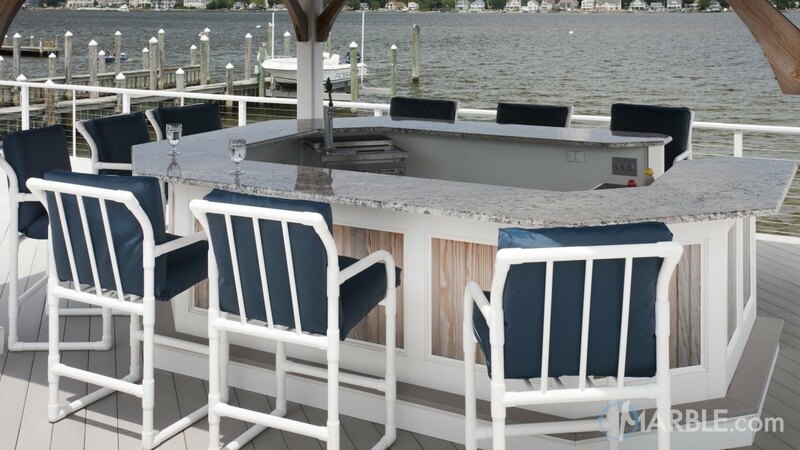 Comfortable blue chairs promote relaxation as you enjoy a drink by the water.